I’m slightly embarrassed by how long it took me to design, print, and mail them out. Six months is the official cut-off for baby cards and well...we were past that by a bit. So we sent them to a small group of family/close friends and called it good. 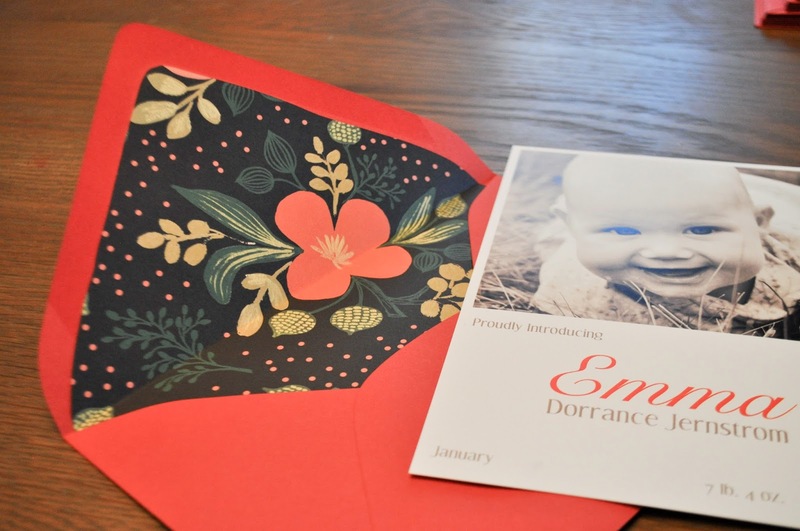 I like to do one fancy card and envelope for the baby of honor, which usually means an envelope liner. 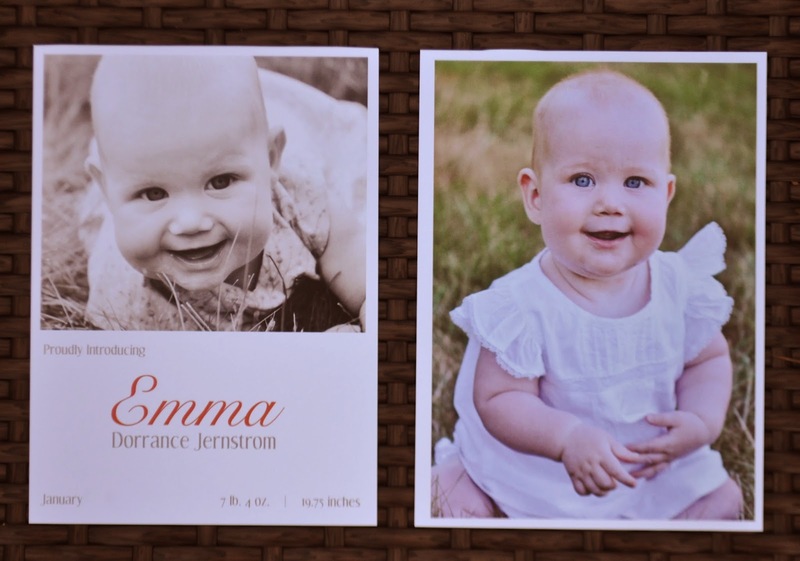 I ended up buying two sheets of paper (the first design can be seen in the leading photo) although I haven’t yet decided which will go in the baby book. 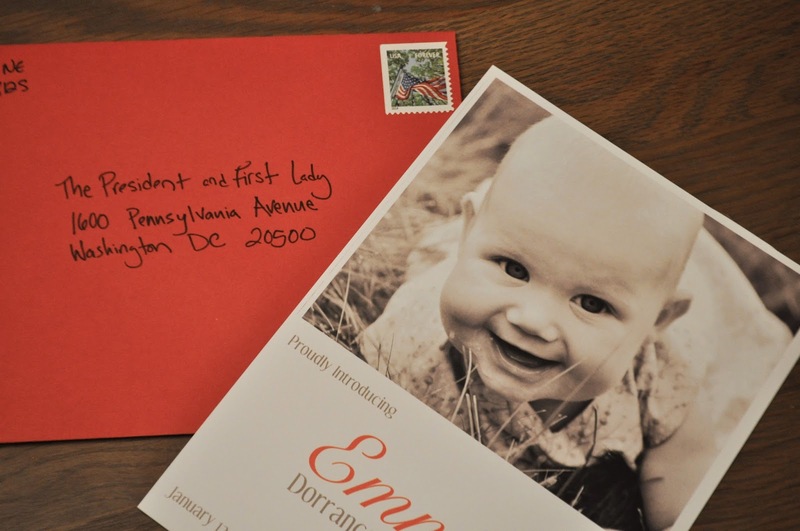 Did you know that the President will send your baby an official welcome note if you send him a birth announcement? 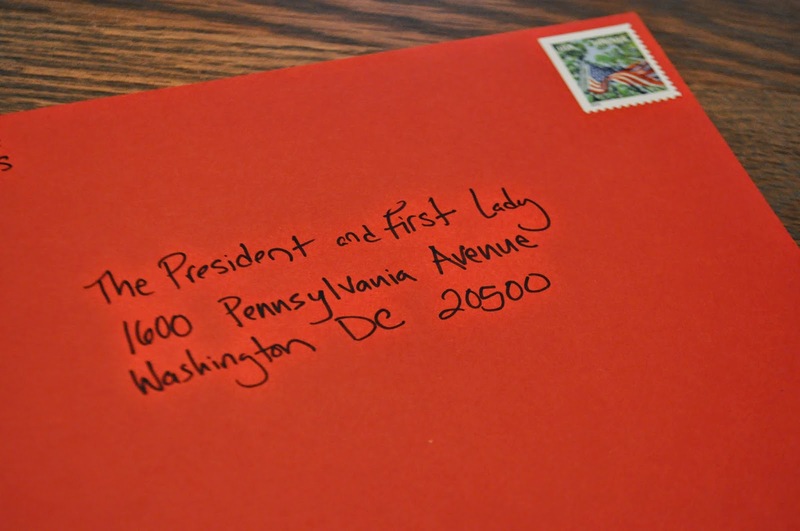 From one president to a (future) president. 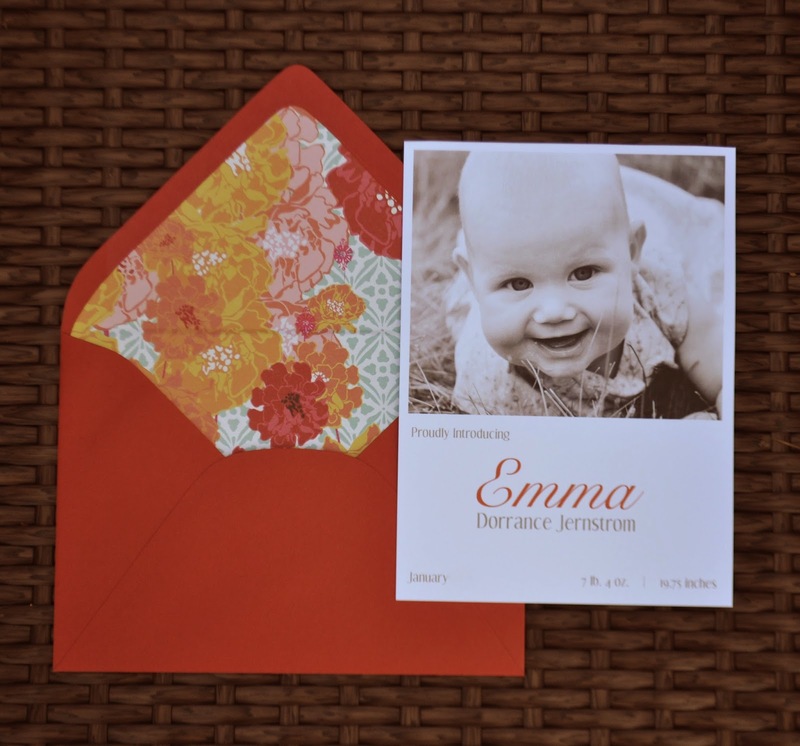 The envelope color is persimmon and it a gorgeous pinkish red, although it looks flat-out scarlet in these photos. 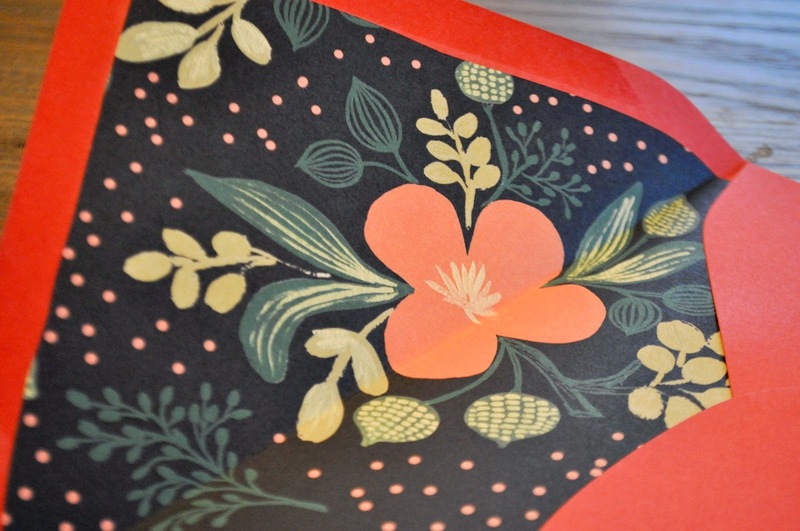 I have a short tutorial for envelope liners that I’ll post shortly.